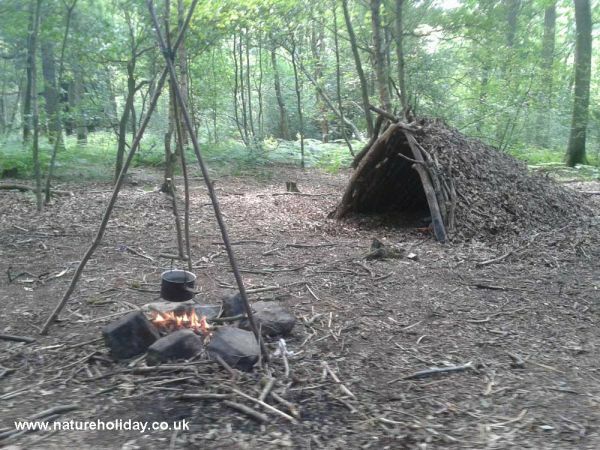 An introduction to the basics for survival with top northern bushcraft teacher, Bruce Ferguson, with over 30 years bushcraft experience: shelter, fire, food and water. You’ll learn how to build an emergency shelter using the natural materials you find around you. You’ll learn a range of fire lighting techniques including fire in difficult conditions and find out how to cook on a camp fire, including making supports, hangers to hold cooking pots and useful utensils. You’ll discover some of the wild food available. Ground water is rarely safe to drink in Britain so we’ll look at some ways of collecting water and making it safe to drink. The activity leader, Bruce Ferguson, is qualified through the Institute for Outdoor Learning to teach bushcrafts to groups and has been involved in bushcrafts and teaching woodland skills for over 30 years.